Is Replacing Windows in Winter Really a Bad Idea? Contrary to popular belief, winter is often one of the best times to get your windows and doors replaced. There are several reasons for this, from both a purchasing and installation perspective. Isn’t it too cold to replace windows in winter? In Canada, where temperatures can drop well below what we experience here in the Seattle area, you can find window replacement companies who will replace windows with temperatures dipping down to -4° Fahrenheit. Thankfully, we never have to deal with those conditions. But won’t I lose heat in my home? A good window replacement company will have teams replacing one window at a time in winter to reduce heat loss. They will also close off as many doors to the room as possible to further minimize heat loss in the rest of the home. The other benefit of having specialists focused on one window at a time is an increased attention to detail during the replacement, which is something we always strive for regardless of the project. What about rain or snow? Rain is often a more significant hindrance than temperature in the Seattle area. Replacing windows when its raining is problematic for obvious reasons, but replacement can be even further complicated by standing snow. Moisture makes keeping the exterior and interior of your home clean during window replacement a bit more complicated, but we always make sure our projects don’t result in a mess for our customers. If weather conditions ever prevent us from being able to complete a window replacement project, rest assured it is for your home’s protection, and we’ll always reschedule as soon as possible. What are the benefits of having windows replaced in winter? There are actually several factors that could potentially make winter the best time of year to have your windows or exterior doors replaced. What really affects the price your quoted is demand. Window replacement companies and the manufacturers who craft customized windows are often busiest in September and October, when people are replacing windows for the upcoming winter season. The busier they are, the higher their prices are likely to be because there’s no lack of demand for their products and services. Many people assume replacing windows in winter is a bad idea, so it’s generally the industry’s slowest season, making it the best time to get real deals on replacement windows and exterior doors. This is true not just for window installation companies but their manufacturers as well. Most people are trying to get their windows replaced in the months before winter or summer for the money saving benefits energy-efficient windows provide. The high demand for window replacement services can sometimes make it difficult for customers to schedule service at a time that works for them. Winter tends to be a slow time for window replacement companies, which means you have more flexibility when it comes to scheduling jobs. If you dread getting your electric or gas bill during the winter months and you know your home is suffering from inadequate insulation, you can begin seeing an immediate reduction in your energy costs once you have your windows replaced. Your energy-efficient windows will start reducing your heating costs on day one thanks to the improved insulation value they provide. Are there any downsides to having your windows replaced during the winter? Some materials can be more difficult to work with in cold temperatures, but Seattle generally doesn’t get cold enough to make window replacement impossible due to temperature-related material issues. The biggest concern from a window replacement perspective is moisture. However, an experienced, courteous window replacement company should take the time and care necessary to prevent damage to your property. At Procraft Windows, we implement procedures and safeguards to protect your home from mess during window and door replacement. We’ve been replacing windows year-round in Seattle for well over three decades. Many of the more than 22,000 jobs we’ve completed in King and Snohomish counties have been performed during the winter months. 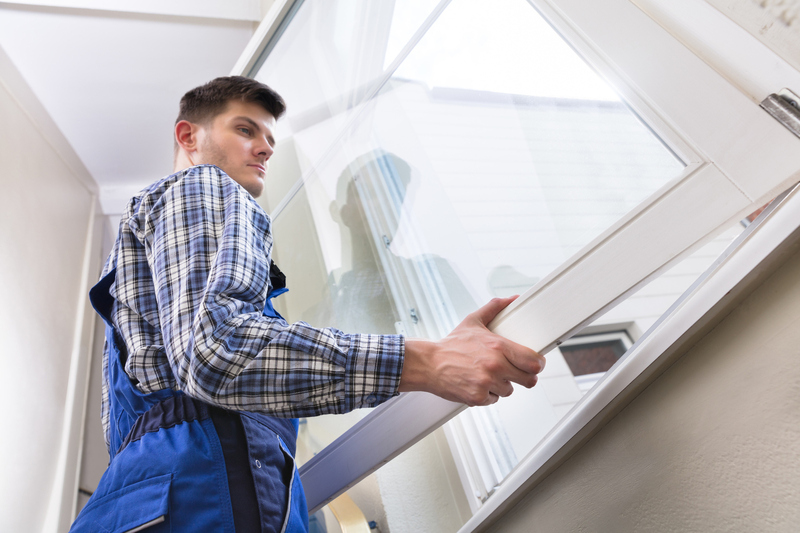 Our teams of window and door replacement specialists have the art of replacement down to a science, and we implement an array of processes to ensure we keep your home clean and warm throughout the entire process. Regardless of the season, we always offer our lifetime warranty on installations because we’re confident that we can do any window or door replacement job properly the first time. If for whatever reason we don’t, we’ll make it right. There’s a reason we have a huge book of satisfied local references you can contact to confirm the window replacement services we offer are the best you can find in the Seattle area. Schedule a free estimate and design consultation with Procraft Windows by contacting us at (206) 361-5121.